Here are few commands for Stop execution. To stop execution of a command in the middle of a process..
On Linux terminal, Press Ctrl+Z. It will stop the execution..
On SQL terminal, Press Ctrl+C. It will stop the execution..
On Windows cmd(command prompt) terminal, Press Pause/Break button. 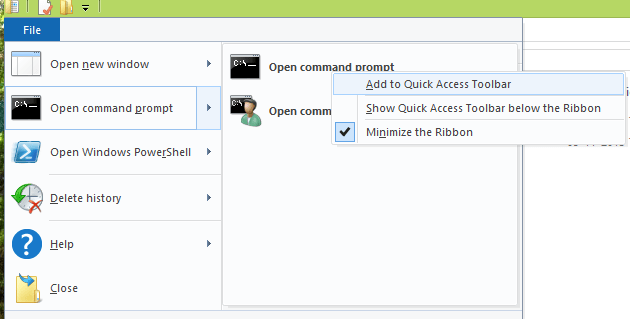 open cmd prompt as administrator. 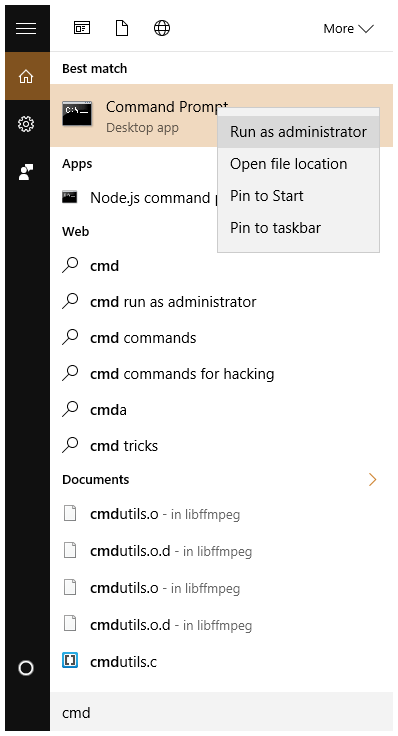 Below shows screenshot of opening cmd prompt as Administrator on windows 10. Now restart PC, you can see Internet problem fixed. 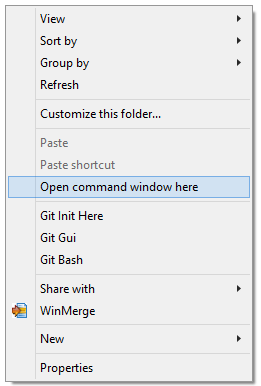 Open windows explorer, Click File menu at top left, you can see Open Command Prompt menu item, when you focus on it, it will open sub menu, with two options Open Command Prompt, and Open Command Prompt as As Administrator. Right-Click on a option and select Add to Quick Access Toolbar.